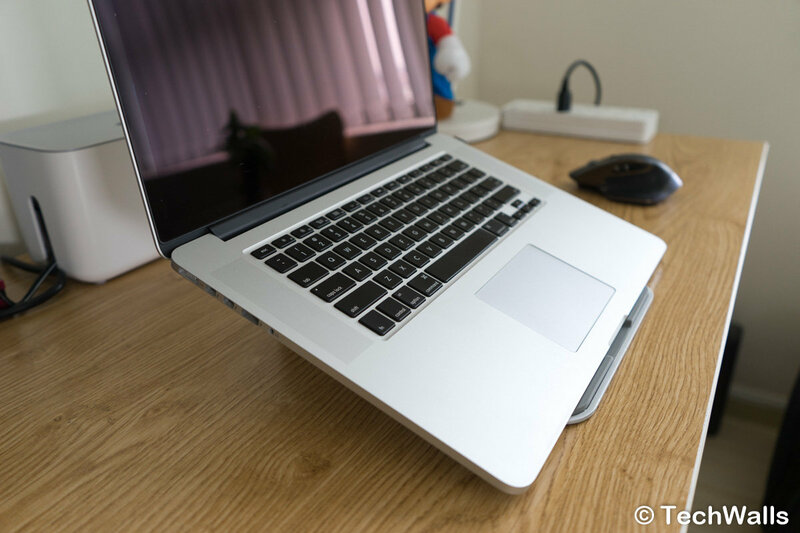 If you are using your laptop on your desk, it might be causing neck and muscle discomfort since the laptop screen is too low. It’s recommended to place the screen at an eye level and that’s the reason why you should use a laptop stand. The Twelve South ParcSlope is the sleekest option of them all and it’s truly a great companion with my MacBook. Let’s check it out. The product comes in one piece of aluminum. It’s quite heavy and sturdy, and there are rubber pads all around. Therefore, it can stay steadily on your desk and there is no way your laptop could slip off the stand. 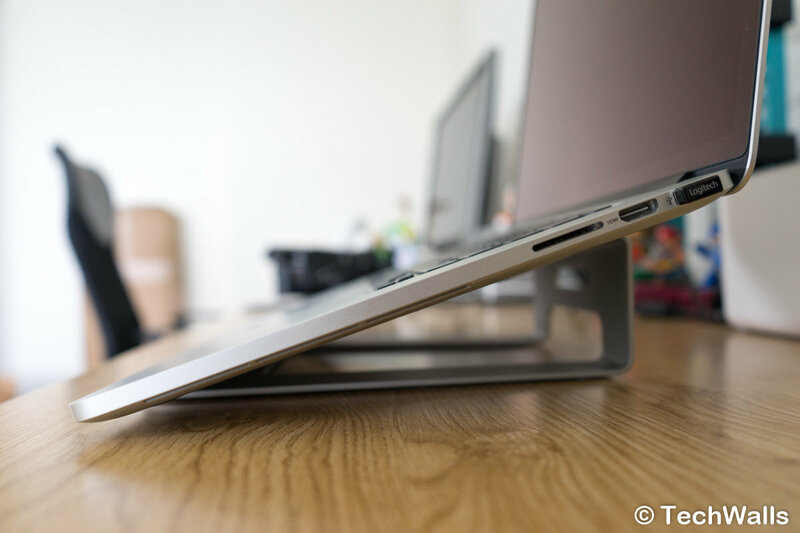 The stand elevates my MacBook by an angle of 18 degrees. The height is closer to my eye level while the angle is not too steep for the keyboard. That means I still can use the built-in keyboard comfortably. However, it’s still recommended to use an external keyboard for the most ergonomic working position. Another benefit of using this stand is that it allows for a more natural airflow and cooling. Notably, there is a cable management system on the back so that you can keep all the cables neat and tidy. 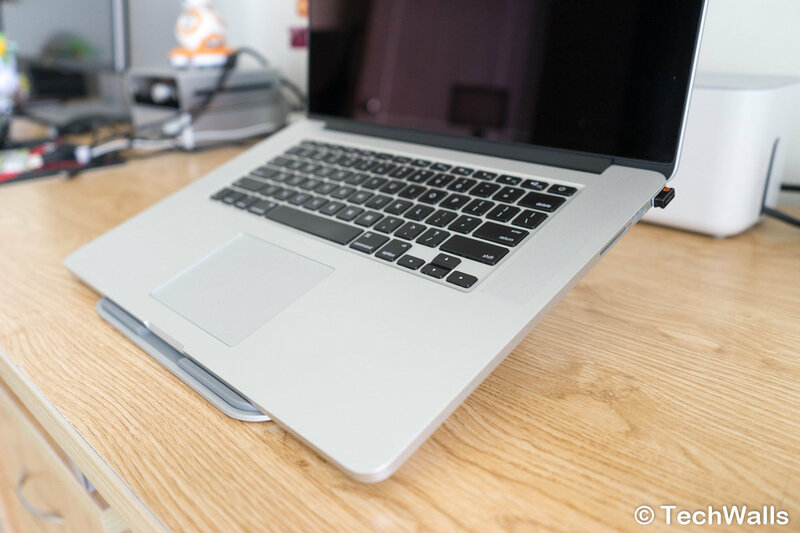 Overall, this is a very well-built stand for my MacBook, we highly recommend it.